Smooth and sweet, and serves 4. Grease four 1/2-cup ramekins lightly with butter and set aside. Pour the buttermilk into a small bowl, sprinkle on the gelatin, and stir to dissolve. Set aside. With a small knife, split the vanilla bean in half lengthwise and scrape the seeds into a medium saucepan. Off the heat, add the vanilla bean pod, heavy cream, and sugar. Stir in the buttermilk and gelatin mixture. Place the pan over medium heat and cook, stirring constantly with a wooden spoon, until the mixture is just under a boil. Remove the pan from the heat, and remove the vanilla bean pod. Carefully pour the mixture into the ramekins. Place them on a tray, and cover with plastic wrap. Refrigerate the panna cotta until set, about 5 hours or overnight. To serve, run a butter knife around the inside edge of the ramekins, or dip the bottom of each one quickly in hot water then invert the panna cotta onto individual dessert plates and serve at once. This is wonderful as is, but it is even better when served with a fresh fruit or rich chocolate sauce. CHEF’S SECRET: Whipping cream and heavy cream are not the same; whipping cream has stabilizers. 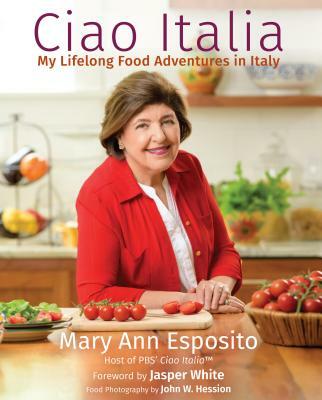 This recipe is from Ciao Italia Five-Ingredient Favorites by Mary Ann Esposito. Thank you for your PBS Show and website!